Expand and maintain the transportation network through passionate public service by a dedicated team of skilled professionals. The Transportation Department manages the daily operations and maintenance of city streets, the public storm water conveyance system, sidewalks and rights-of-way. Responsibilities include traffic control, emergency response operations, special events and assistance in code enforcement. The Department inspects daily the City’s roadways for sign repair, pavement management and sight obstructions. The Transportation Department participates with the Safety Committee to provide safety-training workshops. The Transportation Department is involved in the development and implementation of various road, transit and storm water improvements. The City and Capital Metro have partnered to develop a Fixed Route Transit Plan. The Transit Development Plan Study, initiated by the City of Georgetown and Capital Metro, will help define service plan needs for fixed-route bus service in Georgetown, including routing, service hours, frequency, and boundaries; information on the Plan and process can be found at: https://transit.georgetown.org/transit-development-plan/. 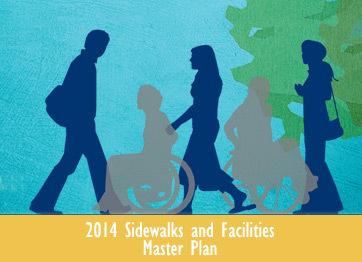 The City has recently completed an update to the Overall Transportation Plan. Information on that process may be found at https://transplan.georgetown.org.